As part of a 14 year old’s birthday party, saw Black Panther last night. Ok, maybe just the Alps. But, seriously? Viewed as mythology, the Black Panther is fascinating. I’m not much of a comic book or classic pulp guy, most of what I know I got from movies and hearing other people talk about them. Take that into consideration here. It seems that the archetype for an American hero is either a vigilante fighting as much against a corrupt system and against bad guys, or a tragic yet honorable character who finds himself the possessor of mystical powers. With of course some overlap. Batman versus Superman, I suppose. Or The Shadow versus Spiderman. Philip Marlowe versus the Cisco Kid? Either way, a lone man, or a lone man with a tiny support team, takes on Evil for the sake of Justice. In Superman’s case, that would be defending the innocent. In Batman’s, part of the tragedy is his love for a city full of the not-so-innocent. Both are good men, motivated in the end by a desire to do good. They are only accidentally public figures. The Black Panther isn’t one of these. He’s a king, and not just a king but an absolute monarch. His kingdom depends on his virtue for its survival – and not just his, but his ancestors back for thousands of years! The only thing holding him in check are tradition, especially ancestor worship, and some sort of mysticism. The only laws shown to constrain him at all were laws of ceremonial combat – which merely determined who got to be absolute monarch. As if that isn’t enough fantasy for one movie, it is also imagined that this little nation that could have easily conquered the world given its massive tech advantage, didn’t because something something. Instead, they use all that tech to hide so that, evidently, Wakandans can buy colorful hand-woven baskets from each other in open markets when they’re not inventing nanotech. In real life, African mysticism has never constrained Africans from slaughtering each other, in the same way neither Buddhism nor Christianity have succeeded in stopping Asians and Europeans from slaughtering each other. But we accept it, somehow, like we accept Superman’s race being super just and peaceful when they’re not blowing up planets (as mentioned above, I’m fuzzy on the details here.) It makes the Black Panther and his people as alien in this respect as the natives of Krypton. Clearly, Black Panther is meant to some extent as a departure from American superhero stories. I think the better comparison goes back much farther. Camelot leapt to mind as a better match. Not perfect, by any stretch, but better. Arthur is a king like no other. He seeks first Justice, and the reform and improvement of those around him. His mythical kingdom is an island of high ideals in a sea of brutality and bloodshed. Fabulous and magical weapons are everywhere. The land he trod is in some sense hidden and impossible to exactly locate. His downfall and the downfall of his kingdom is due to his personal weaknesses as embodied by Mordred. And that’s about it. With the Gawain from the Orkneys and Palamedes the Saracen, Arthur’s court was symbolically drawn from the ends of the earth, not a monoculture hidden in secret. Arthur came from flawed parents and left a destroyed kingdom behind him – no mythology of millennia of practical perfection. Yet we await the Once and Future King, who will be God’s chosen instrument to set things aright. That’s the core mythology that Black Panther shares. His inhuman moral strength contrasts with Arthur’s clear personal failings. The vague mysticism that somehow guides T’Challa to seek justice and refrain from exercising his absolute monarchy to his personal benefit contrasts greatly with the concrete demands of Arthur’s Catholicism which Arthur concretely fails. Of course, people are mostly talking politics. I have my doubts: an absolute monarchy that bans all refugees and refuses all trade with the outside world? Talk about border control. The happy ending isn’t a scene where millions of impoverished Africans cross into Wakanda and are welcomed and taken care of, but rather Wakanda sending way-cool aircraft to Oakland and delegations to the UN. Ummmm – what? The best part: a black boy is deprived of his father and inheritance and grows up to be a psychopathic mass killer. The man, a king, no less, deprives this child of his father then abandons him to his fate when it was well within his power and was his duty to care for him. This act of betrayal ends up almost costing that man his own son and almost destroys his kingdom. N’Jadaka is pretty much Mordred, in other words. That all this begins in Oakland is almost too broad. The message here would be? Possibly the weakest part of the movie is N’Jadaka’s sort of reconciliation with T’Challa at the end. We are given the ‘this is a bad, bad man’ scenes that make N’Jadaka not just a bad man, but an insane, evil man – he simply kills his lover in cold blood to get at Klaue and shows not the slightest remorse over this or any other of his dozens of kills. Yet, he gets almost soft at the end. Next to the fantasy elements of an absolute and absolutely virtuous monarch of an invisible country, this deathbed conversion of sorts is the least realistic thing about the movie. That, and the Himalayas. Actually one of the points is that it’s not Superman’s race that is just and peaceful, but his parents ma & pa kent. In fact there’s a lot of variations with Kryptonians through the years. While sometimes they are good, sometimes they trend towards mean, universe conquerors and Superman is actually the exception to the rule. Depends upon the continuity. 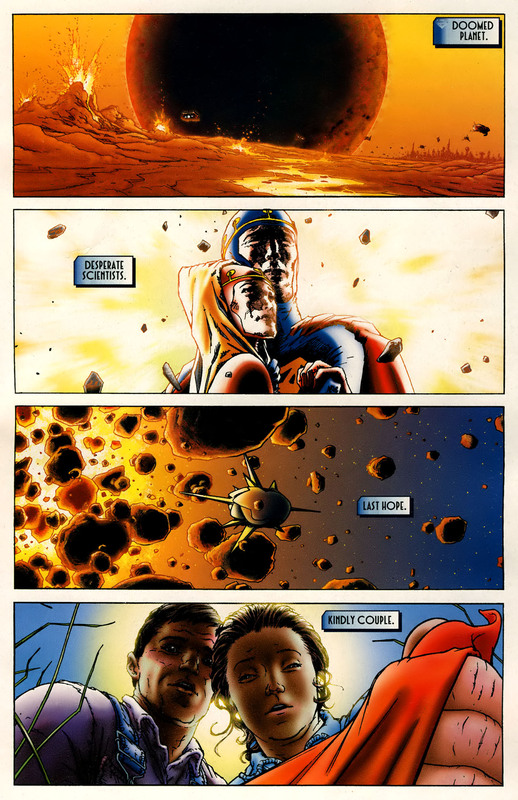 Anyway, for further examples, there is a “what if” story that supposes Superman landed in the USSR and what would happen. Turns out, he grows up to become a communist dictator. So in summation, it’s not the Kryptonian that is just, but the Kansasian. “Red Son” was actually not that bad. Yeah. I’ve heard a lot of good things about it and want to get a copy sometime. Read it in the library. It’s quite short. That’s actually cooler. And makes Black Panther an even greater outlier I suppose. Yeah. Superman’s origin summed up in 8 words. My understanding of the ending is very negative, which is why I’m not seeing it. It’s basically dressed up globalist propaganda – a step up on the convergeance scale. Not fully SJW converged itself, but like basically all modern Marvel stuff since Tilda Swinton was an oriental mystic in “Dr. Strange”, another step forward to the full convergeance of the MCU. Correct me if I’m misunderstanding here. So we have, in the end, T’Challa deciding that, somehow, he – an African king of a small nation in the middle of a vast continent – is somehow responsible for the well-being of black kids in Oakland. 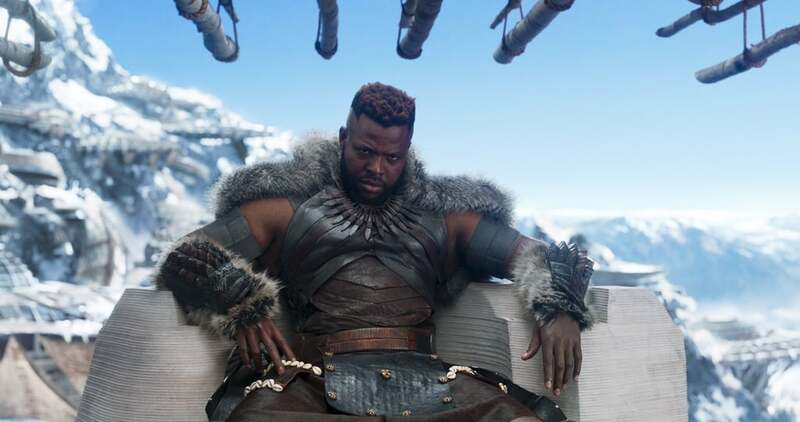 Not Wakandan refugee blacks, mind you, but just blacks. And his solution to fix this issue of his responsibility for the *entire continent of Africa* – again, A CONTINENT, an enormous one, where the people have roughly as much in common with American blacks as that East Asian dude who plays Grant in “The Walking Dead” has with the people of Korea – is to join the United Nations – an organization known for its incredible track record and effectiveness – and start interfering in countries that have *absolutely nothing to do with him*. Not wrong, it’s worse: he’s out to save the *entire world* with Wakandan tech goodies and whatever mystical woo-woo makes them all such wonderful people that they refrained from just snuffing out all their enemies. But he doesn’t mouth the ‘colonialist’ BS his enemy does, so there’s that. I wasn’t going to see it, but kinda had to with the fam. 14 year old wanted to go to a movie w/ his buds, and that was what they could all agree on. Aha. What has bothered me the most is how many people I consider sane, intelligent, and thoughtful seem to genuinely see no problem with this ending, which is so *obviously* flawed to me. Breaking out of the mind trap is extremely painful. Incidentally, Christianity actually *did* have a civilizing influence on Europe, which anybody who has researched the Roman Empire should realize pretty quickly. Of course. But even the strong wine of Christianity couldn’t stop wars. Whatever woo-woo the Wakandans are assumed to believe did. somehow. Yard Sale of the Mind Create a free website or blog at WordPress.com.